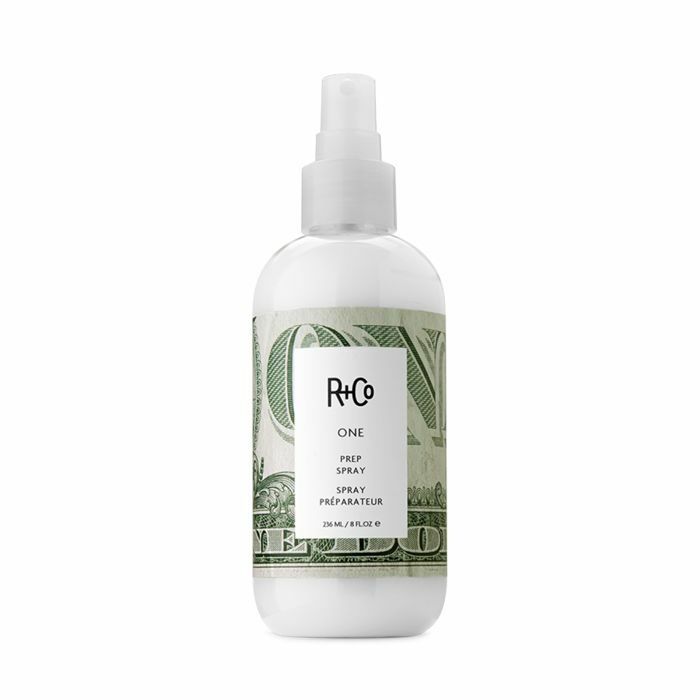 My introduction to R+Co was not as it is with most haircare brands that end up in my beauty arsenal. It wasn't recommended to me by a friend. I didn't scour the internet for reviews. It wasn't used on my tresses during a haircut at a new salon. I was in New York working at Barneys at the time R+Co launched, and one day while passing through the store's apothecary, the new brand's lineup—literally lined up in perfect precision on brightly lit crisp white shelves—caught my eye. It was love at first sight. The cool desert vibes of Death Valley Dry Shampoo whisked me away on a California daydream down Route 66. A glance at Park Ave Blowout Balm, and I was longing to get done up for a night out on the town. Every image enveloping each bottle and tube was candid, raw, and something I'd instantly repin. But instead I used my employee discount to buy up most of the collection. Fast-forward to a few years later, I still find myself an R+Co superfan (every product is as effective and enjoyable to use as its packaging is impactful), and on the phone with Amanda Wall, the designer behind my quickest impulse beauty buys. "I'm someone who'll go grocery shopping and buy products I'm not going to use just for the packaging," she admits after I confessed I cleared off my bathroom shelf to make room for R+Co before ever trying a single product. Her savvy for tapping into that visual consumer mind, who wants something they use every day to be beautiful—whether it's dry shampoo or toothpaste—made her the perfect fit for spearheading the look of a brand that would arguably become the most visually appealing in its class. When I ask Wall—who oversees all the creative direction of R+Co and is the mastermind behind not only the covetable packaging but the clever names—where she looks for inspiration, she explains that it's just from personal references that she has. "Films that I've seen, films that I relate to, songs that I like, song lyrics—music is obviously huge—things that I see every day," she lists. "The concept is not to have images that are too unrelatable. I like things that are commonplace. Things that everyone can relate to on an emotional level. It makes the draw stronger. I want to sell an emotion behind the product." One look at Wall's world and it's clear that she doesn't need to look too far for inspiration. Her Instagram feed is an eclectic mix of raw photography that boasts the same candid coolness as her designs, whether they're capturing Paris Fashion Week after-parties or really good light at a lunch in Echo Park. Her style is that of the ultimate cool girl: floral silk suits, vintage Levi's, tights in every hue, and Prada kitten heels. Wall's path to becoming the creative mind of R+Co was a "kind of complicated, indirect route." She recounts how she had been in college in Seattle and got street cast as a model while skipping school. Once in the world of modeling, she herself started doing street casting herself, for Bumble & bumble, where she met then–creative director (and eventual R+Co co-founder) Howard McLaren. Wall was art directing the brand's photo shoots and working on the visual direction on a freelance basis. McLaren ended up leaving Bumble & bumble and opening up a pop-up boutique called Whitehouse in L.A.
"It was basically an experimental concept salon where we were thinking of ideas that were outside of the realm of a traditional hair salon," describes Wall. "We made this little space that was like a little bungalow in West Hollywood. We had weird, interesting furniture—all this stuff on Craigslist. We would wrap all these products in Chinese newspaper." Within the first year, there was an article about the salon in Vogue Paris. They were then approached by Tev Finger, CEO of luxury brand partners (Oribe, Smith & Cult, the works), who wanted to start a new brand similar to what Bumble & bumble was in the beginning. "They came to Howard obviously because his knowledge of products would be great and he introduced me as an art director." "I went to Miami and they showed me the initial concept for R+Co—they already had a logo and already had a packaging design," remembers Wall. "Afterward, I very directly told them, 'No, this is not going to work.' I'm the target market really. It's not like I'm designing for a generation I don't know. It's like I'm designing for myself." So she decided to see who might have a better concept among her designer friends in L.A. "On the flight back, Howard and I started naming the products individual names," she recounts. "Really strong, cool, fun names for each product but still no idea on visuals. Then it occurred to me, like oh my god—what if we put photos on the packaging?" Wall then spent a week of sleepless nights printing photos and wrapping them on the products. When she pitched her new idea to the team, everyone loved it. "And then I found myself in the position of, Oh, I'm a graphic designer now." With no real packaging background, Wall explains that it's been kind of a learning process, though it didn't slow her down along the way. Responsible for all of the brand's visual direction, designs, merchandising, on-shelf ideas, retail ideas, etc., Wall helped build a brand with a clear identity that's unlike anything else in the market. "My favorite part is the creative freedom that they give me," she notes. "It's very rare to be in a position where I have complete direction to go anywhere I want with, which speaks volumes of our brand. It's not based on marketing strategies." I ask Wall to walk us through how she comes up with the packaging for each product. After the product development team develops the formulas with Garren, Howard MClaren, and Tom Priano—the brand's founders—based on the products they actually use on shoots, they present the idea of the product to Wall. "I kind of take the idea of the function of the product—that's really where I start," explains Wall. "I want the name of the product to be in relation to what it does, so it's smart and clever—so it feels like an inside joke. After I name it, I spend days and days and days searching for photos, and if I can't find them, I take the photos myself." Wall admits that her favorite product she's designed was Vicious Hairspray. "It's my hands on the bottle," she spills. 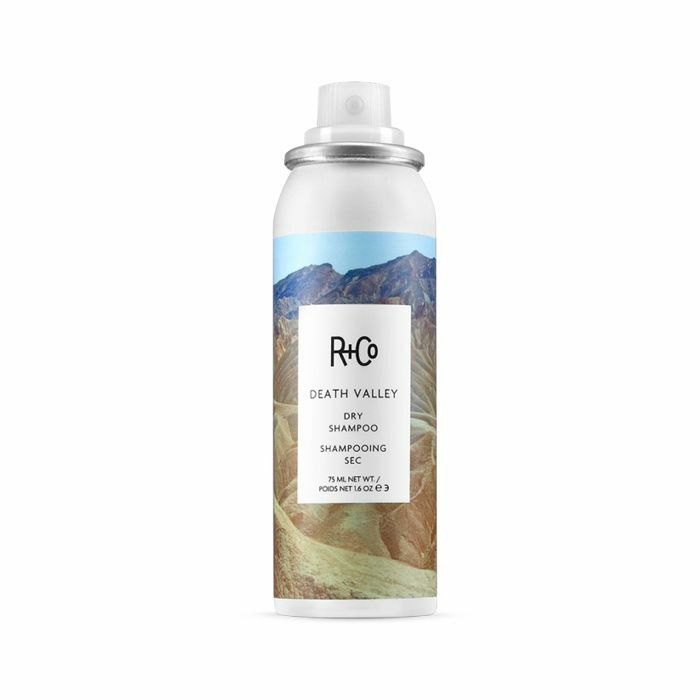 Death Valley Dry Shampoo is another favorite. "That's actually the product that inspired the brand identity," says Wall. "I was thinking of the film Zabriskie Point by Antonioni." It was the first photo she took for the brand. As for the product she most loves to use, Wall turns to High Dive Moisture & Shine Crème ($29). "It's this really amazing moisture and shine cream," describes wall. "I have really thick, dry hair, and especially when it was bleached out, it was fluffy and weird. Now that I use it, I wonder how I lived without it. It's like an underground hair drug." When it comes to her own haircare routine, Wall keeps it pretty effortless. "I try not to wash it more than once a week, because first, I'm lazy, and second, I don't need to," she confesses. "I use a product called Palm Springs. It's a foam that I can put on my hair half an hour before I get in the shower. What I don't like about masks generally is you have to put them on in the shower and wait there. Then I use Television shampoo and conditioner, which is our new set that's so good. And then I blow-dry it out with a round brush with High Dive in it." While she admits her medicine cabinet isn't as Instagrammable as her product packaging—"It's just too chaotic. I have too much stuff. I open cupboards and hair products are falling out"—visuals and the vibes they provide are still super important to her in her daily life. "I was going to buy this toothpaste the other day, but the packaging was so bad that I couldn't bring myself to look at it every morning," Wall recounts. "I think it's sort of subconsciously threatening. So I didn't get the toothpaste."